BORDERED BY barbed wire and out of bounds to all but a handful of Turkish military since the invasion nearly 40 years ago, rapidly crumbling Varosha makes for a haunting image. Amid recent talk of the possible return of abandoned and derelict area as part of the ongoing negotiations on the Cyprus problem that are expected to resume in the coming weeks, one young Greek Cypriot filmmaker now living in New York has a vision that goes a step further than just a possible return of the area. Vasia Markides is aiming for the so-called ‘ghost town’ and its surrounding region to be turned into Europe’s model ecocity based on sustainability and permaculture. Vasia is now reaching out to raise much needed money for a thought-provoking film aiming to document this transformation that she hopes will make waves locally, and far beyond the shores of Cyprus. The project is more than just a romantic whimsy and has the support of a group of professionals who are at the ready to help make this ecocity become a reality. Amongst them are Ceren Bogac, a Turkish-Cypriot architect and psychologist who grew up in the area and still lives in Famagusta to this day. Then there’s Jan Wampler, a distinguished Massachusetts Institute of Technology professor and world renowned expert of sustainable community design, as well as leading economist Fiona Mullen and Bernard Amadei, founder of the international Engineers Without Boarders development organisation. 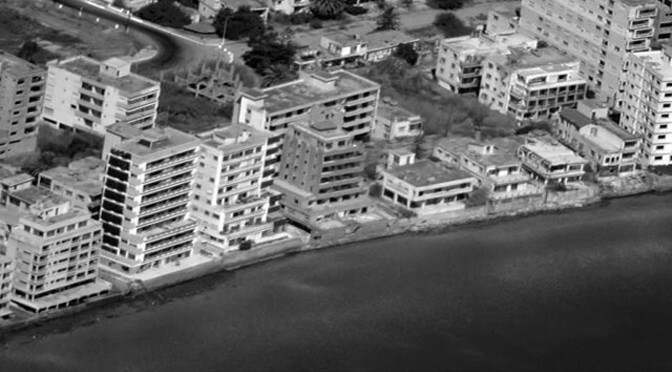 The idea is that of rebuilding Varosha in the context of a model ecopolis promoting peaceful coexistence amongst all of Famagusta’s inhabitants, embracing the latest eco-city technologies, and becoming a centre for reconciliation and sustainability within a troubled region. Inspired by her mother’s nostalgia for her hometown, it was the stories that Vasia grew up with as a child that motivated her to launch her career as a filmmaker with a documentary short in 2008 called Hidden in the Sand about Famagusta and the Cyprus Problem that has kept the town in captivity. Last year, Vasia decided to finally pursue a longer and more elaborate film on the subject as she began to meet other individuals who shared this dream. As the idea grew, director/producer Armando Garma-Fernandez joined the production team and the ideas for the film became all the more concrete. The camera will start to tell the story of the eco-team as it watches them rally support for the ecocity project across the island and beyond. It will involve meeting the Turkish Cypriots who live in Famagusta today, hearing what it has been like for them living next to this ghost city, and what exactly they would like to see done with it in the future. The short term aim is to see how the team prepares the ground in both communities to find the strength and resolve to crack a decades-long conflict using a fresh idea. 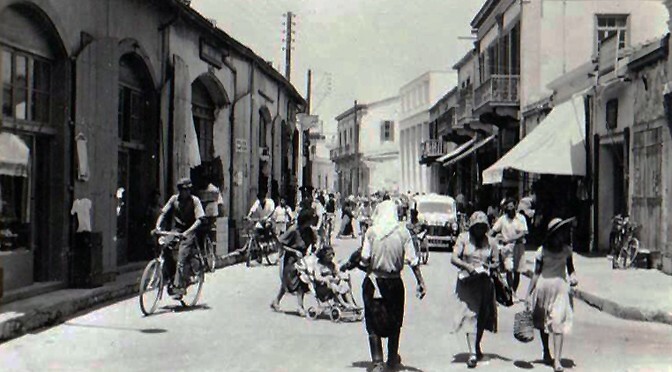 Whether the team fails or succeeds in its Cypriot mission, it is hoped that the documentary will still be able to provide a blueprint for other towns to use in preparing their own communities for a more stable and lasting future. Vasia and her team are currently trying to raise at least $30,000 to ensure that they can get started with production for the official launch of the Famagusta Ecocity Project in January when the entire cast of characters expects to get together for the first time. Donations will help with all the expenses associated with the production, from videography and equipment to editing, website maintenance, transportation costs around the island and paying translators/transcribers. “We won’t be able to move forward if we cannot raise the funds. Unless we get financial support, then the project will likely die a sad death,” Vasia says. Beyond the obvious financial factors, Vasia is fully aware that there will be plenty of other challenges standing in the way of both the filming itself and the rather idealistic transformation of Famagusta into a thriving cultural and environmental hub. Obtaining entry into Varosha is sure to be an exceptionally bumpy road. 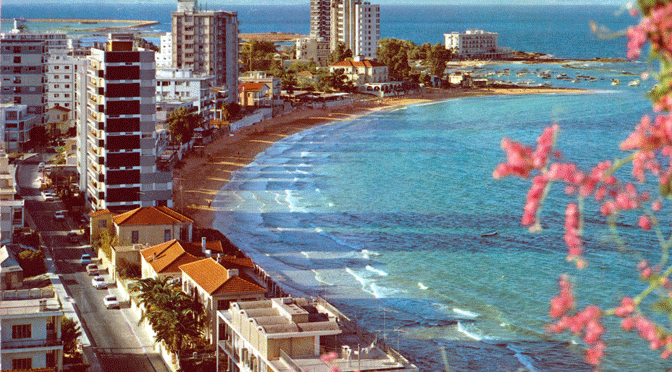 Varosha currently remains surrounded with barbed wire and is held strictly off limits by the Turkish military. “But that’s exactly what makes it an interesting film subject,” argues the filmmaker with avid enthusiasm. Even research is hardly an easy matter, with little documented material of the state of the area. In some cases, Vasiahas obtained photos from searches online, others have been received from people who have either snuck in or have been let in. “Whatever the case may be, we don’t ask too many questions – we’re just happy to receive them and don’t want to get anyone in trouble,” she says. And what if the political discussions on Varosha do not amount to anything? What happens to the whole project? “Obviously we want to see the city returned soon so that Cypriots can begin to come together and start the healing process. But if it takes years for the city to be returned then we have to be sure that we have a plan of action for how to proceed with the reconstruction,” explains Vasia. 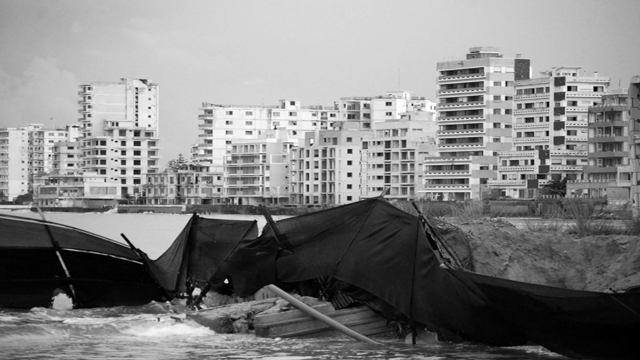 What the filmmaker wants to make clear is that this endeavour is not just about benefiting Varosha. It’s about Famagusta as a whole, the future of the island, and a larger vision for grass roots change around the world. “What we have in Varosha and Famagusta is a unique opportunity to bring fresh energy to the region, reset global standards for infrastructure design and change how individuals can be active participants in planning their future,” she argues.